2. $75 non-refundable deposit is required to reserve a space due April 15th. Payments: $100 due May 15th and June 15th. Balance is due July 15th. Credit card, cash or check payable to New Hanover County are accepted. 3. Space is limited! There are only 4 spaces available for New Hanover County so reserve your space NOW. First come, first served. BJP is a traditional, co-ed residential camp. Youth sleep in cabins according to gender and age. Cabins are A-frame, two story cottage style cabins with bunk beds, full restrooms and showers. Camp activities include swimming, archery, canoeing, rock wall climbing, horse back riding and crafts, just to name a few! 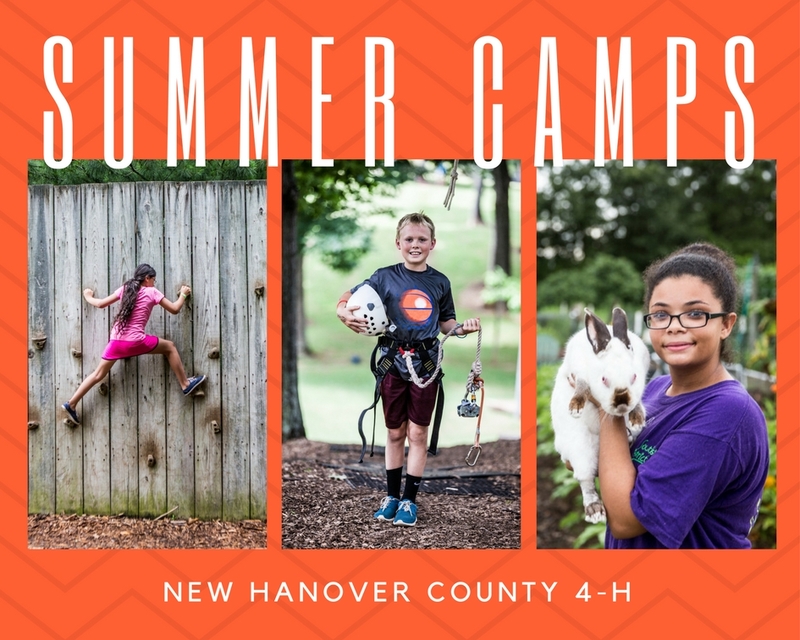 Price includes camp t-shirt, spending money for the camp store, meals and transportation from the New Hanover County Extension Office in Wilmington. Contact: J. Scott Enroughty, 4-H Agent for additional information about Summer Camps.